The Amazon Fire Stick is officially available on Amazon for a dirt-cheap $US40. 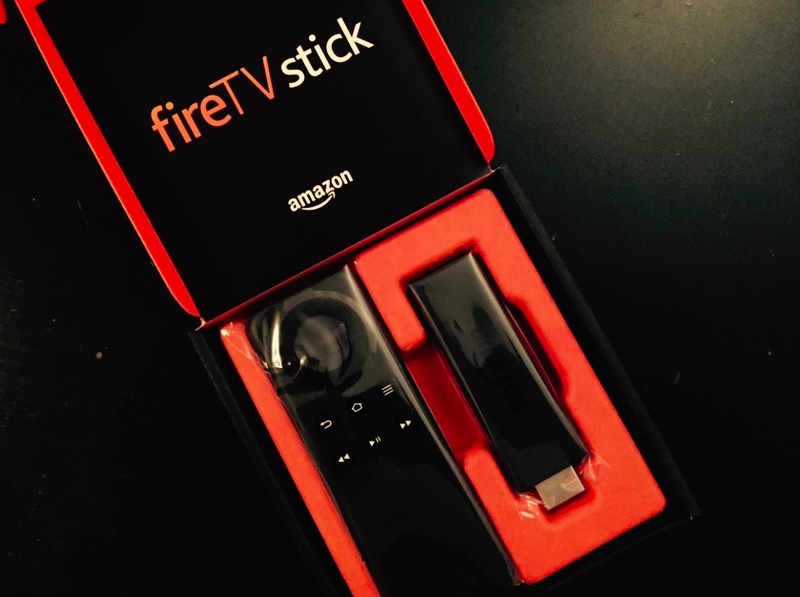 As a diehard fan of my Roku ($US159), I was unsure of what to expect from the Amazon Fire Stick. I have also tried Chromecast and Apple TV in the past, but I have always been pretty partial to the Roku experience: the ability to stream Netflix, Hulu, HBO, Showtime, and yes, Amazon, from my television. Plus, there’s the bonus of not needing to purchase anything from my cable provider. The Roku, while an investment, has kept me a pretty happy camper for the last two years. So when I opened the Fire Stick, I wasn’t too hopeful that I would find something that was worth swapping my Roku for. But what I did find was a seemingly well-crafted streaming stick for those who do most of their video watching on Amazon Prime. 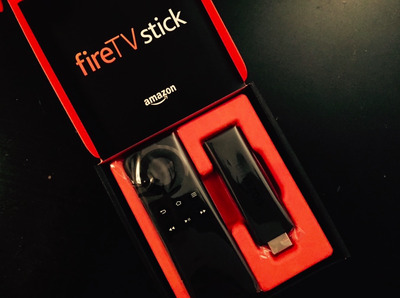 The Fire TV Stick is the baby version of the Fire TV, which is more like the Roku; a full-fledged streaming device. The stick is more like Google’s $US35 Chromecast; it plugs into your TV’s HDMI port and it’s powered by microUSB. The Amazon Fire TV stick also boasts 4x the storage and 2x the memory of Chromecast, plus a dual-core processor and 1 GB of memory. The device is very travel-friendly, and is perfect if you’re travelling out of town with kids and want a sure”fire” way to entertain young ones with their favourite movies and television shows, regardless of the cable setup wherever it is you’re going. Although I definitely liked the Fire Stick, I didn’t find anything that that widely separates it from its streaming competitors that have already been on the market for a while now, besides the cheaper price tag, which is a pretty good reason. Amazon content streams incredibly fast. Supported third-party apps include Netflix, YouTube, Hulu Plus, and you can even stream music through Spotify and Pandora. You can also play games. I didn’t feel like there were many things I couldn’t get on Amazon that I could from my Roku. It’s also very easy to set up, especially if you’re gifting a Fire Stick to the not-so-technologically inclined. The Fire Stick is a little laggy. I found myself clicking the same button several times before the software would react, but for only forty bucks, that didn’t feel like a game-changer. The voice-activated search feature was also supposed to be crazy good next to Roku’s (scrolling a keyboard for individual keys to spell out the name of a movie or tv show can get tedious) but iPhone users are left out in the cold: Voice-activated search is only available on Android for now. I couldn’t even try it out. You can use buy Amazon’s voice remote for voice-activated search, but it costs an extra $US30, almost doubling the price of the streaming stick. There’s also no HBOGo, though Amazon has promised to deliver by the end of 2014. I’m not rushing out to buy the streaming device anytime soon, but if my Roku broke tomorrow, I might consider going with the $US40 Fire Stick in an attempt to save money for a similar viewing experience.